Wish to sell your house fast in Allen, Texas? While many of clients are faced with troubling financial times, due to which, they want to get some fast cash that might not always be the case. If you’re inheriting a home, you can’t afford or don’t wish to live in, contact us now. We pay cash for houses in Allen, TX, by offering the money up front. Homeowner fees, insurance, and maintenance costs quickly add up, and if there is inheritance involved, the probate can take more than six months. Once the probate process has finally been achieved, you must either live in the house or sell it off, if a mortgage is being assumed. Even if the property doesn’t have a mortgage attached, it must be maintained. We provide an easy way out of this hassle – just show us your home and we will come up with an offer! We help homeowners get rid of burdensome properties fast. We are problem solvers, tell us your situation and we’ll provide you with options. Our focus is for you to take back control over your situation. By knowing all of the options available to you, we can help you make sense of all this confusion and present you with your options that can get your life back to normal. Having to clean up the house to show your home is time-consuming and puts a lot of stress on you and your family. You could have a showing at any given time and you’ll end up running around frantically cleaning up after your kids, your dogs, getting the dishes out of the sink, vacuuming, organizing…in other words, making it look “perfect” to try to get your house sold. Who has time and energy for that? If you go with an agent…You will be signing a contract that binds you to that agent for 6 months. This can tie your home up. What if you find a buyer yourself? What if the buyer pulls our from the deal at the last second? What if their bank loan falls through? The real estate agent will give you piles of paperwork to sign, shuffling the paperwork back and forth from the buyer to the agent and then to you….and back. It can all add stress, months to the process. Simply send me some info on your house and within 24 hours I’ll make you a fair offer and can close quickly. 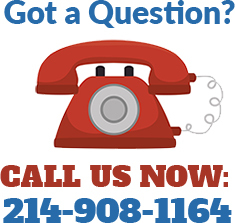 Call me at (214)908-1164 if you want to chat or have questions or you can submit your info on our website and we’ll get back to you quickly. People often need the cash in their house fast so they can deal with whatever real estate dilemma they are presently facing. While paying cash for houses in Allen, Texas, our negotiation process doesn’t begin or end with a signed contract – it is as seamless as it can be. We buy houses “as is”, which means whatever condition they are in, is acceptable to us – our objective is to close fast and usually as quickly as 7-10 days. Thus, we assist sellers to get rid of a burdensome property without the hassle of having to list it with a broker and wait months and month for a sale. So, if you are looking to sell your home fast in Allen, Texas, you can contact us at (214) 908-1164 – we are happy to help you! We pay fast cash for your Allen TX home! No need for real estate agents and their fees and the Realtor parade of continuous showings at all hours of the day. We at Super Cash for Houses work differently. We will provide you a fair all-cash offer on your house within 24 hours of submitting the short property info form below and can close when you want to close. If the house is in questionable shape and you don’t want to (or can’t) fix it up… NO problem, we’ll deal with it for you. If you need to get something done quickly, we can close in as little as 3-7 days because we buy houses with cash and don’t rely on traditional bank financing. Allen is a bigger medium-sized city situated in the state of Texas. With a population of 98,143 individuals and 10 constituent areas, Allen is the 39th biggest neighborhood in Texas. Allen has actually seen a substantial quantity of more recent real estate development recently. Frequently, brand-new home building and construction is the outcome of brand-new locals relocating who are middle class or wealthier, drawn in by tasks, a healthy local economy, or other features as they leave close by or far locations for greener pastures. This appears to be the case in Allen, where the average home earnings are $103,051.00. Allen home rates are not just amongst the most costly in Texas, however, Allen real estate likewise regularly ranks amongst the most costly in America. Allen is an extremely white-collar city, with completely 89.61% of the labor force used in white-collar tasks, well above the nationwide average. In general, Allen is a city of sales, supervisors, and specialists and workplace employees. There are a lot of individuals residing in Allen who operate in management professions (17.70%), sales tasks (13.67%), and workplace and administrative assistance (11.29%). Of interest is that Allen has more individuals living here who work in computer systems and mathematics than 95% of the locations in the United States. Telecommuters are a reasonably big portion of the labor force: 7.86% of individuals work from home. While this number might appear small general, as a portion of the overall labor force it is high relative to the country. These employees are typically telecommuters who operate in knowledge-based, white-collar occupations. Silicon Valley has big numbers of individuals who telecommute. Other at-home employees might be self-employed individuals who run small services from their homes. Allen is a really great location for households to think about due to the fact that of lots of things. With an excellent mix of great schools, low criminal offense, college-educated next-door neighbors who have the tendency to support education since of their own experiences, and a high rate of own a home in primarily single-family homes, Allen truly has a few of the functions that households try to find when selecting a great neighborhood to raise kids. Is Allen ideal? Obviously not, and if you like mad nightlife, it will be far from your cup of tea. In general, this is a strong neighborhood, with lots of things to advise it as a family-friendly location to live. Do you have a 4-year college degree or academic degree? You might feel right at home in Allen if so. 53.01% of grownups here have a 4-year degree or academic degree, whereas the nationwide average for all towns and cities is simply 21.84%. The per capita earnings in Allen in 2010 was $40,714, which is rich relative to Texas and the country. This corresponds to yearly earnings of $162,856 for a family of 4. Allen is an incredibly ethnically-diverse city. Individuals who call Allen home explain themselves as coming from a range of ethnic and racial groups. The best variety of Allen locals report their race to be White, followed by Asian. Allen likewise has a significant Hispanic population (individuals of Hispanic origin can be of any race). Individuals of Latino or Hispanic origin represent 11.06% of the city’s locals. Essential origins of individuals in Allen consist of Irish, English, Italian, and Scottish. Allen likewise has a high portion of its population that was born in another nation: 18.11%. The most typical language spoken in Allen is English. Other essential languages are spoken here consist of Chinese and Spanish.